With an early freeze in Wyoming last year the fall was stunning. The colors of the changing leaves mixed together in fascinating patterns and displays. The folds in the hills here against the unusual pattern on the hillside attracted my lens. As a farmer I spent many hours irrigating with small breaks. One walk I liked to take was up and old dry wash that cut through the center of the farm. That is where I found the mud cracking and the grass just beginning to grow through the cracks from the moisture still held under the drying surface. The shapes and colors present in the Sand Dunes in Southern Colorado are extraordinary. While camping there recently the wind had blown hard before a thunder shower and moved the sand into incredible fresh patterns. I often drive the Baggs road to ski in the winter. One March the drive was during a spring blizzard. The wind was howling and the snow drifting and it took all your concentration to drive and stay on the road. I glanced out the window and here were these gorgeous red willows highlighted against the bleak snowy surroundings and dreary sky. It was beautiful. With an early freeze in Wyoming last year the fall was stunning. The colors of the changing leaves mixed together in fascinating patterns and displays. The folds of the hills set off a nice pocket of colors. Hiking one day I was attracted to the design of these cracks in a rock face, as a bonus in a larger print very faint, possible petroglyphs show up in the lower right corner. On a brief trip to California in June I was able to spend a day wandering the Northern beaches. The colors in the rocks were stunning as this image portrays. 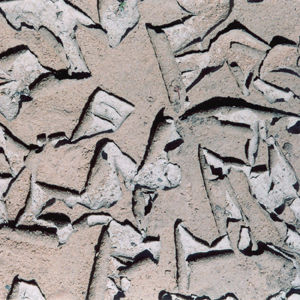 The sand had drifted into the crevices creating a nice juxtaposition of textures. A blustery day of wind had churned up the color of this small spring and a near by pine tree's cones were bobbing and floating on the surface. 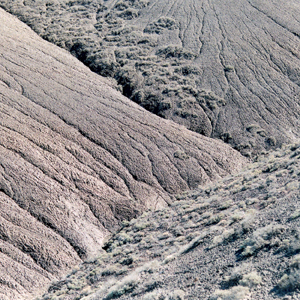 Amazing patterns are created by the wind wearing away layers of a rock surface leaving different colors and unique shapes. With an early freeze in Wyoming last year the fall was stunning. The colors of the changing leaves mixed together in fascinating patterns and displays. The isolation of this red bush against the drier colors of fall caught my interest. The stunning color patterns of the old car rusting and losing it's paint in the salt air makes this one of my favorites. While out for a hike near the beach I saw the old car half buried in sand. The early morning light on the blown and mounded sand in the Great Sand Dunes. Bonanza, Colorado is a wonderful old mining town and a little North of there is the site of Exchequer. The cemetery and one old log house is all that is left of a once thriving town. The rich colors in this old log tombstone attracted me to take this photo. There are a lot of remote dirt roads in Wyoming. Rain and thunderstorms make some nearly impassible or terribly frustrating to drive. However the thick gloppy mud creates incredible patterns as the runoffs subside. This photo was taken as I paused to consider whether crossing a small creek was possible after a spring storm. Outside a small restaurant in Bandon Oregon rests an old fishing boat, never to float again. However it rests in a spot over looking the Bandon Lighthouse and the entrance to the harbor. 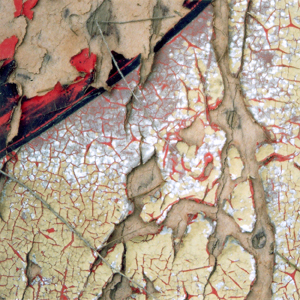 The boat's paint is peeling and metal parts are rusting revealing interesting patterns. Ferocious thunderstorms race across Wyoming filling the gullies and low spots and churning up the fine silty bottoms. When the flash floods recede they leave incredible patterns in the mud. The incoming tide in Bandon brings various floating objects as well as revealing patterns around heavier objects. I found this simple composition restful and liked the angle and placement of the pebbles. This is actually the rump of a horse painted by an American Indian at the Westcliffe Summer Fair as he was describing the symbols, philosophies and life on the prairies before they were tilled and settled. Curious how the thick black line here points toward the fluffy grass with a fine line completing a triangle. Simple but yet very complex in the gentle colors and lines of the scene. There is a wonderful mining museum in Tonopah, Nevada with a self guided walking tour of turn of the century equipment and buildings. Here i found the shadow pattern of an old bolt and the textures of the rusting mining car to be of interest. The patterns and light in the sand dunes shift and change each hour providing elegant and simple compositions, to just sit and watch for a day would be such a luxury. This wind circle caught my eye after a particularly blustery storm. If you look closely a small insect has left their foot prints across the grass shadow. Life is quite a struggle for the plants and animals living in the dunes. The Bristle Cone pines are an awe to experience. Their twisted trunks and limbs hold many special scenes and colors. Living and surviving at very high elevations through extreme weather conditions, they are the oldest living trees on earth. This paint seems burned and blistered however leaving a very sensual pattern. I found the colors particularly interesting with the textures. Part of the indoor exhibit at the Tonopah Mining Museum. While grocery shopping I saw this amazing poster partially torn off from a dumpster. I came back later to take this image. 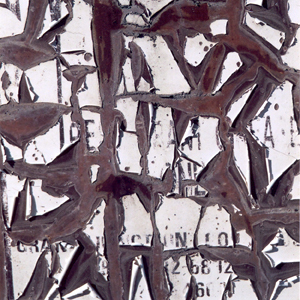 Love the integration of the clean edges of the type and the torn edges of the partially removed poster. 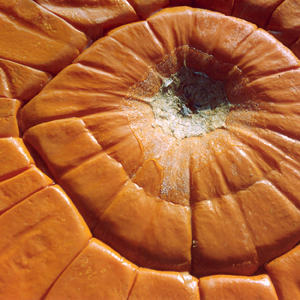 Left my pumpkin outside over the winter and discovered it had slowly flattened and froze in the cold weather but retained its color. The radiating lines and color made an unexpected subject. The foliage along a frozen lake shore in all its fall colors. 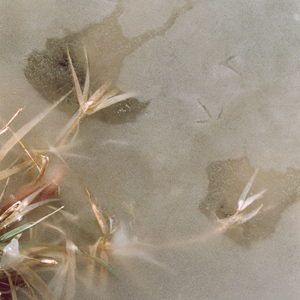 The ice seems to melt around the foliage in odd shapes. The bird tracks seem to ground the viewer in reality. While exploring cliff areas for petroglyphs this fairly small rock formation caught my eye. 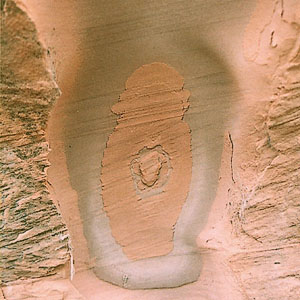 So symmetrical and the color so unique for natural rock. I was walking a creek bottom on a very blustery day just after some torrential rains and found this deposited mud. The wind was blowing red sands across the creek bottom and it was catching in the fresh rippled mud. 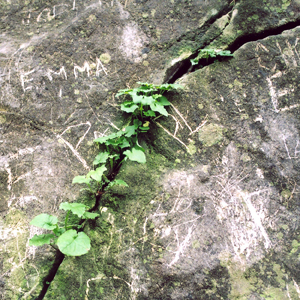 I liked the struggle of the plants, the crack in the rock superimposed with the ageless graffiti on this rock. I like to call this one Emma also. It was a rather wet and rainy day when I hiked through the San Juan Island Park. 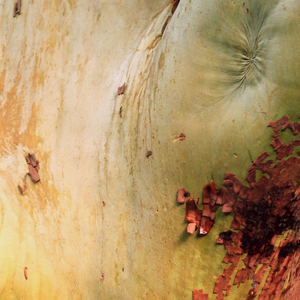 I liked the strength shown in this healing Madrona Tree and the subtle colors of the bark versus the outer wood. Strolling Long Beach just at dusk I saw this marvelous piece of worm wood. 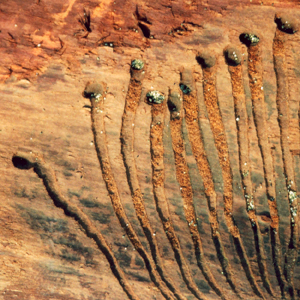 The worms seem to create wonderful patterns with their parallel trails. These folding hills encompass acres and acres of land. The stark unfoliaged triangle works well with the sparsely sage covered triangles. While exploring dirt roads behind Palisade I came across this burned out, upside down, stripped old pickup truck. 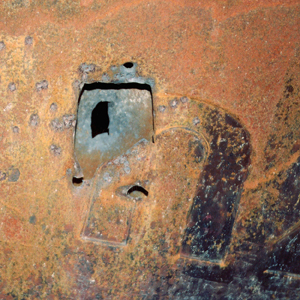 This is an image of the tailgate with the U from the lettering and the area where the handle was torn off. 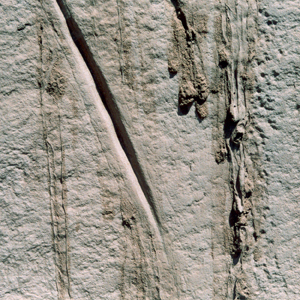 While exploring for petroglyphs this indian arrowhead/knife sharpening groove was found in a sandstone cliff. A little mud dribbling down the cliff added to the interesting find. This quick drying mud puddle had the most amazing patterns and curls to it. An area of stark prairie behind Palisade is strewn with old clothing. Various stories might come to mind as to how this happened. 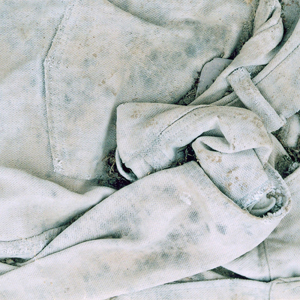 I followed the deterioration of the clothing with film for several years. Loved the way the wind and weather elements created new compositions of folds and color. An old weathered board laying out on the prairie. The paint has cracked and blistered and the original use completely gone. 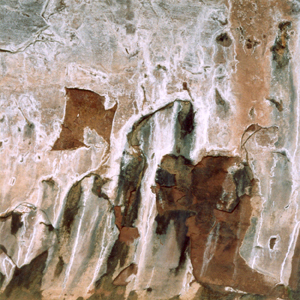 The historic Escalante canyon has many overhanging cliff areas. Many of these have water seeping from above. 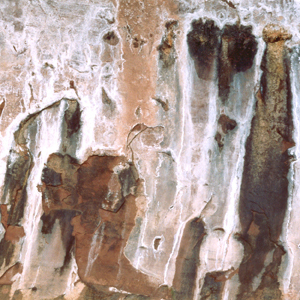 The stains of the different minerals in the water make these great natural murals. I visited a historic family ranch in the Hill Country outside Austin. 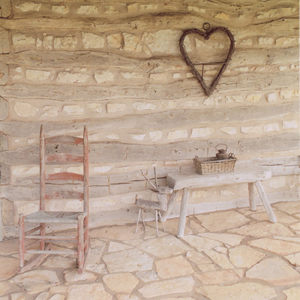 This still life was on the front porch of one of the restored cabins. The elements seem to work so well together. 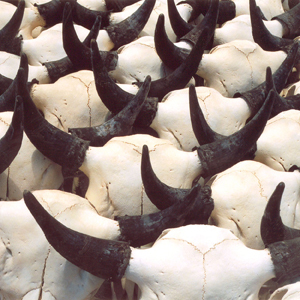 A vendor at the Antler Rendezvous in Dubois arranged these buffalo skulls in this unique pattern. The image seems to represent a far deeper statement on buffalo herds of past. 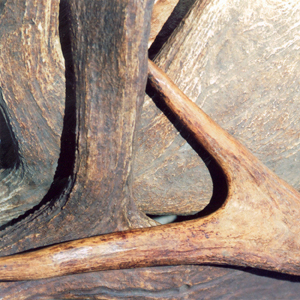 Liked the lines in this stack of newly purchased moose antler. The subtle color shifts of the antler adds interest to the composition. 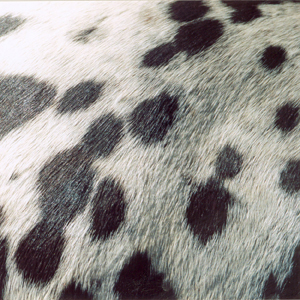 Liked this pattern on the rump of an appaloosa that a mounted officer was riding at the Jackson Hole antler rendezvous. Please ask for a quote for larger quantities. Site designed by WyomingNetwork Inc.